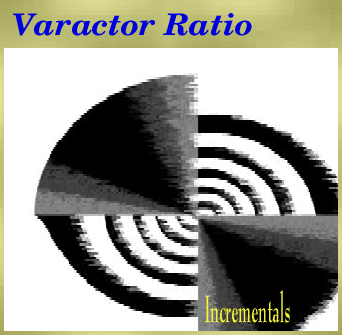 Varactor Ratio has existed in one form or another since Paul first got into composing and recording original electronic music in 1987. Coming from a Club/party DJ background, in 1984, Paul first began experimenting with remixing European Club tracks of the day, using turntables, simple outboard analog processing gear, and a 4-track recorder. Slowly, Paul began adding his own musical elements to many of the mixes he was creating. And then, following the death of a very close friend, a desire, almost a NEED to produce his own music began to evolve. Paul put the DJing on the back burner, and began the process of putting together his music-making arsenal. Starting with simple analog keyboards and that same 4-track, various works began to emerge. One early "warped" synthpop project, known as TNM, with musician/friend Charles Finney, led to some inspired ideas - although it soon became a solo effort by Paul. Taking on the new moniker of "Red Light 6", Paul began creating dark and moody pieces of music, made all that more powerful by his upgraded equipment, and growing skill at composition. Red Light 6 received favorable reviews from small local, and national music magazines, and some of the music made it's way on to the airwaves at the alternative and eclectic Los Angeles college radio station KXLU (88.9 FM). Due in part to the radio exposure, Red Light 6 was asked to compose an original film score for a short film by student film maker Jeff Moores. Shortly after, Paul met Ceaven, a fellow electronic music enthusiast and artist, and they began work on a few side projects, exploring techno and trance, and a bit of darkwave-synthpop for good measure. Although at the time, they were on opposite sides of the country, so collaboration was difficult at best. Continuing on from there, utilizing both his '80s influences, and those he garnered from his work with Ceaven, Paul felt a new direction, and thus NAME, was in order. 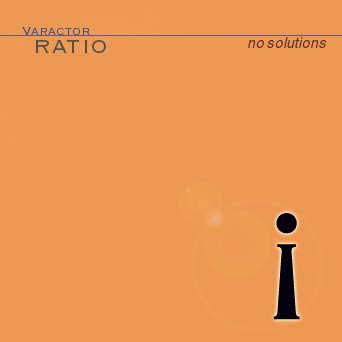 Varactor Ratio was officially born - signifying the start of something new and different, both in attitude toward music, and in incorporation of new ideas. During that time, Paul also began working with female vocalist/lyricist Susan Orvis on a new synthpop/darkwave project called NURVIS. Both Varactor Ratio and NURVIS continue on - exploring the various genres of electronica, with a strong desire for others to listen and be moved by the music that so drives Paul. Go to Nurmix Web Central, Red Light 6 Studio, NURVIS, MixElektro Records ?